The Association of Parents of Disappeared Persons (APDP ) in a statement issued on November 2, 2017, has welcomed the State Human Rights Commission’s (SHRC) order asking the state government to investigate 2080 mass graves. On October 24, 2017, in response to a petition filed by APDP regarding the presence of 3844 (Poonch with 2717 Graves and Rajouri with 1127) unmarked graves in Poonch and Rajouri Districts of Jammu and Kashmir, SHRC in its order once again acknowledged the presence of unknown, unmarked and mass graves in Jammu and Kashmir and has directed the government for a comprehensive investigation including DNA [Deoxyribonucleic Acid] Testing, Carbon dating and other forensic techniques. This is the second such order by the SHRC. Briefly, the case pertained to the issue of unnamed and unidentified graves in Kashmir. It was pleaded before the commission that thousands of people were missing from Kashmir and that the APDP feared that missing persons had been killed during the operations and buried in graves without any identification of the bodies. In the past, the Commission directed holding of enquiry by the Investigation team of State Human Rights Commission which then concluded that there were graves which were unidentified and nobody knew who was buried in the graves. The order further stated that in the cases where an identification has already been done by the Police or any of its wing or agency, a second identification need not be done. However, these identification profiles will be made available by the agencies. This is a very crucial point of intervention for human rights activists and can help in ensuring accountability for the bodies that have been missing. The order also stated that the Commission need not hold any further enquiry about the existence of Mass graves as the Home Department has accepted [Dated 30-06-2012] the existence of 1486 graves in Poonch and 594 graves in Rajouri which are unmarked and unidentified. These two districts have 2080 unmarked and unidentified graves while there are more 1351 graves. The SHRC also ordered to follow the same order as issued in earlier cases(s) SHRC no. SHRC/13/2008: SHRC231/2011:and SHRC/247/2011 and asked to comply with the directions in the next 6 months. Highlighting the 2011 order, the APDP statement said that, “The recent order is in line with the SHRC’s 2011 judgment in which the Commission had found that in the 38 graveyards, which they have investigated, have documented 2730 graves, out of which 2156 graves are still unidentified graves, and 574 persons were later after being buried as foreign militants, identified as local residents of Jammu and Kashmir. The then enquiry was conducted after taking suo-moto cognizance of the research report of IPTK/APDP, documenting discovery of 2700 unknown, unmarked, and mass graves, containing 2943 bodies, out of which 2373 were unmarked graves, in 62 graveyards spread across some areas of north Kashmir’s Kupwara, Baramulla and Bandipora Districts. The statement said that despite the fact that India was obliged to comply with UN Convention on Protection of all Persons from Enforced Disappearances, and investigate the discovery of unmarked and unidentified graves, and also calls from other International bodies like The European parliament adopting a resolution in July 2008 [RC B6-0349/2008] calling on the Government of India to urgently ensure independent and impartial investigations into all suspected sites of mass graves and as an immediate first step to secure the grave sites in order to preserve the evidence, Indian government continues to avoid and decline any investigation into unmarked and mass graves of Jammu and Kashmir. The European parliament resolution had also offered financial and technical assistance to GoI. But the Indian government managed to hood wink the international community regarding the alarming issue of enforced disappearances and mass graves in Jammu and Kashmir. ” Thereafter there should be cross matching of the bodies inside the unmarked and marked graves; DNA tests after sampling should be conducted of these bodies with the families of the disappeared. This will enable us to establish if the missing family member’s DNA matches with any of the other family members”, continues Parvez. There is no other way now to ascertain the identity of the person who has died as their bodies would have been decomposed by now. Apart from these crucial observations, there are other recommendations. For instance, if the police has some pictures or any other identity proof(s) of the missing persons or the persons who have been killed –and if there is any profiling about who these people were/are– then all such FIRs should be investigated. The last time such an Order was passed by the SHRC however, there were problems. The report filed by the State Home Department, in the response to 2011 order demanded details which the families, desperately hunting for the missing and disappeared, simply do not have. 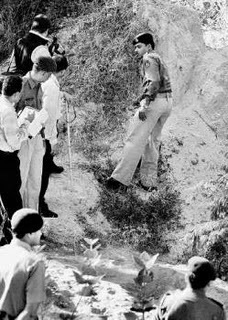 According to Khurram Pervez, the state home department’s report tried to insist that they would only exhume graves –and take DNA samples—from those bodies that families were able to guide them to, or identify. “But if we knew where the bodies were, and who’s there were, where was the problem or violation in the first place,” asks Parvez. The other issue is that the state home department in its report to the state human rights commission, has claimed logistical difficulties stating that India has only 16 laboratories which have the capacity of doing the DNA test. Since these tests requires huge resources, this is not a practical solution. Then, says Khurram Parvez, the state home department is contradicting itself by saying that if at all, the bodies of the disappeared are identified (by DNA test), this could cause law and order problems. “If there is the possibility of law and order problems, how can the government say that DNA sampling would be an ‘academic exercise,” wonders Parvez. “Obviously this is an emotive issue. For the people. As much as this is an issue of justice for people. This could bring emotional closure to people. People have a right to know… What happened to their loves ones. How did they disappear? Also people have a right to know who are those who are buried in these unmarked graves,” he asserts. “The position of the state government [on this issue], is untenable! At the point in time, when the State Home Department submitted their report there was also the contentious issue regarding the two districts of Poonch and Rajauri: now that these have been adjudicated (by the UN), there are 5 districts. The SHRC has now confirmed the marked and unmarked graves,” he says. According to our [APDP and IPTK] figures around 6700 unmarked graves exist in just these 5 districts. Three districts are from the valley, which are Kupwara, Baramulla and Bandipora and two from Jammu province Poonch and Rajauri. If further research is continued in other districts, more unmarked graves are likely to be found. “However, the problem also is –and this is evident from the recommendations of the SHRC itself –that these sites run the risk of being damaged/destroyed. So protecting these sites is also a concern,” says Parvez. “Through the official acknowledgment of the government, now that at least these 5 sites have been identified, we will wait for the state government to take a decision on it. If of course, they allow this DNA or other identification then that is acceptable. Or else, if they don’t, then the families of the disappeared of the other APDPs will have to explore other legal remedies. The legal remedy now is that we can go to the High Court or Supreme Court. At APDP we believe that we will not give up on the struggle for justice. “We will continue to highlight the issue and also knock all doors, whether it is high court or supreme court, we would try to adjudicate this matter further. Through court interventions we expect that the government which has so far shown no considerations for the predicament of the people, for the demands of these families of the disappeared, is made to respond. Through these interventions in the court, we would like to sensitise the government on its responsibility towards these families of the disappeared“ he concludes.